This is from the Pre-Dawn Targeting portion from August 18th. Here are a few markets with set-ups taking place that will have my attention through the balance of this week and into next. As usual with the Pre-Dawn emails, I may or may not get a chance to send out each individual trade idea but this will give you a good idea (or 6) on which markets I would like to get involved in or the next few days. Tweak these set-ups on your own and enter at or near the levels if you agree. Call in or email to throw around a few ideas if interested. There are 6 total markets below. LET’S DO THIS!!! This pennant formation should NOT be forgotten about. Be patient and strike when it breaks out! We are currently past the channel trading and are at the 2 day sell-off…what’s next? 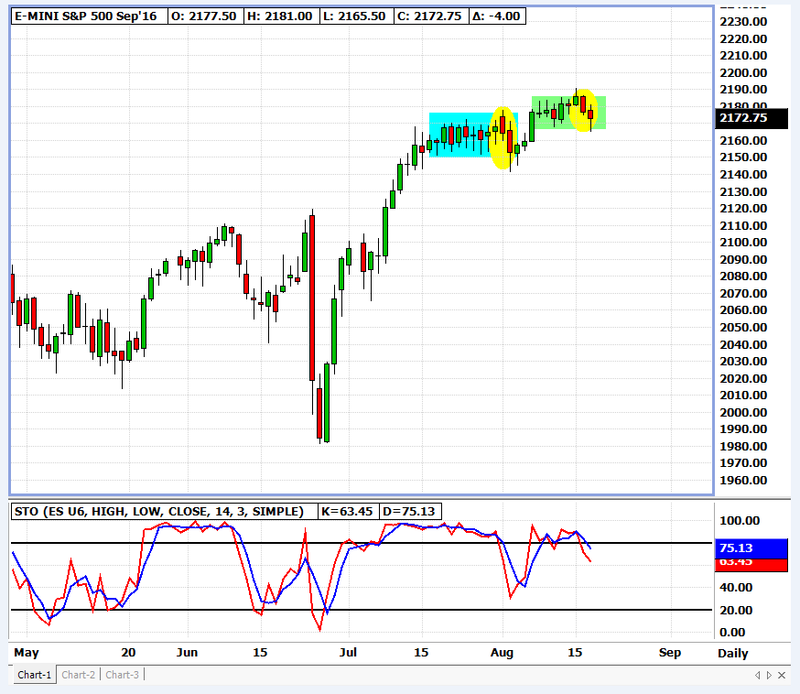 Perhaps new highs above 2200.00?